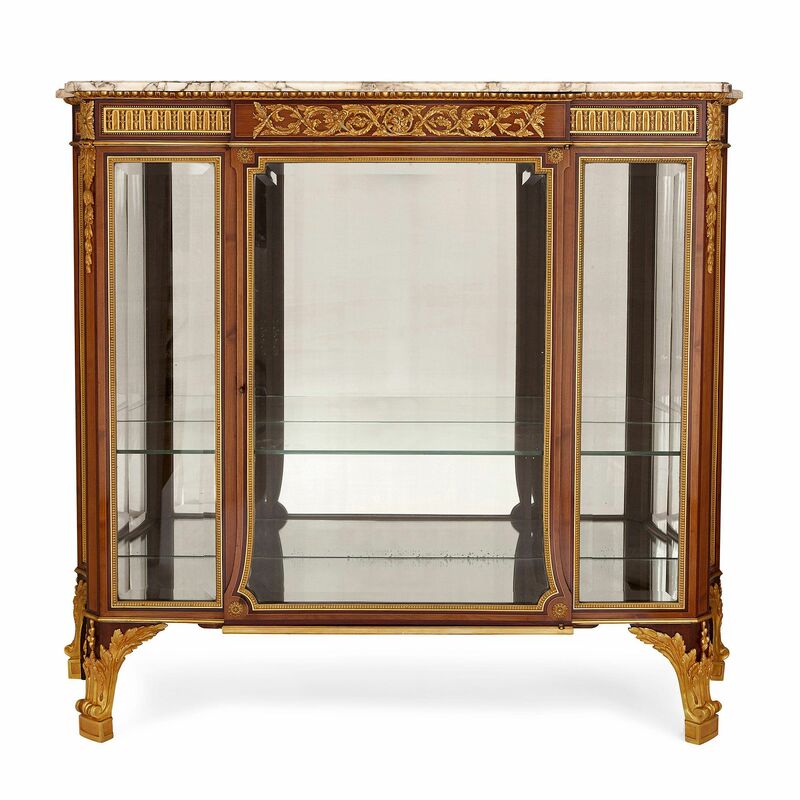 This wonderful antique vitrine cabinet, finished in wood, marble, gilt bronze, and glass, sums up the refined elegance of French design in the 19th Century. A combination of luxury materials and an elegant, simple design makes this vitrine (a glass display case or cabinet for the display of works of art) a really special piece of antique furniture. 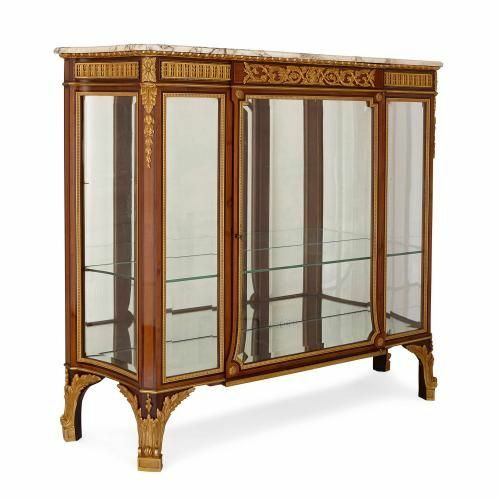 The quality of craftsmanship and design is superb: taking a mostly rectangular shape, the cabinet is glazed on its front side, with a large central door and two smaller glass panels either side. 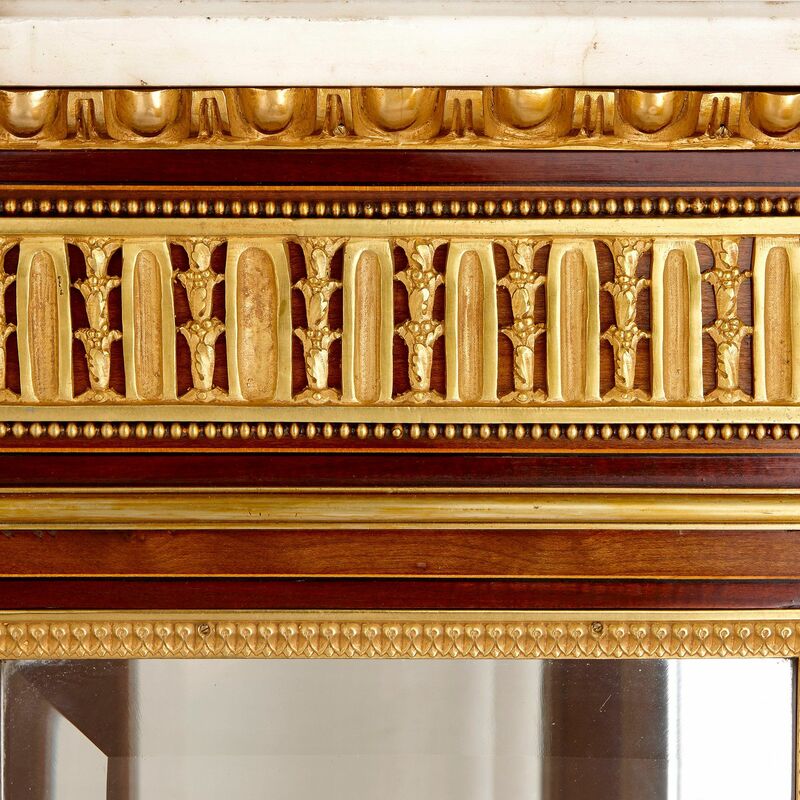 The sides of the cabinet are beautifully curved, further attesting to the skill of the craftsman. 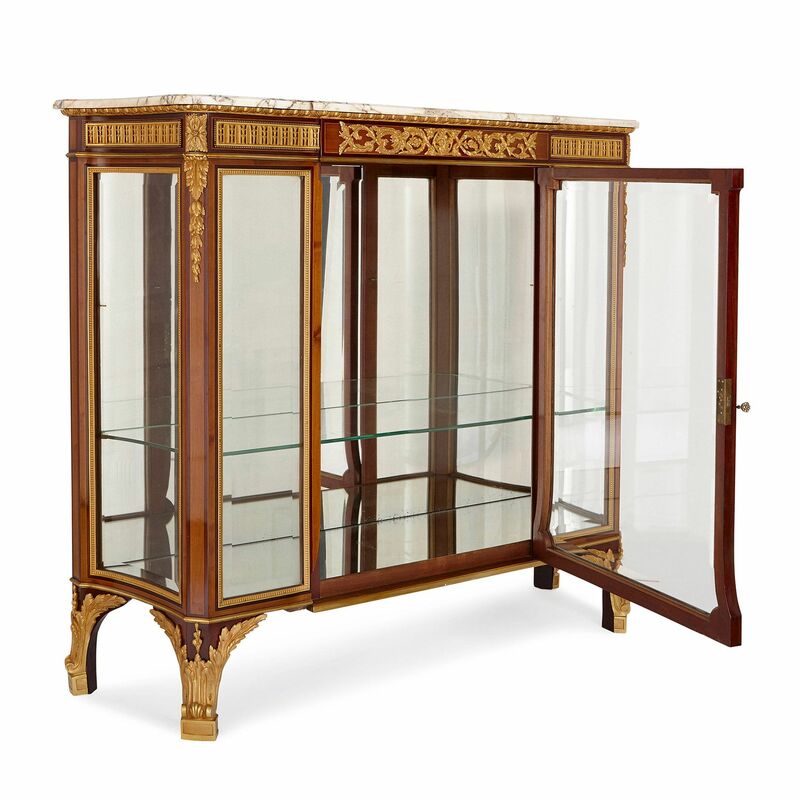 The central door opens to reveal an interior with one central glass shelf, making this an ideal piece for the display of larger items. 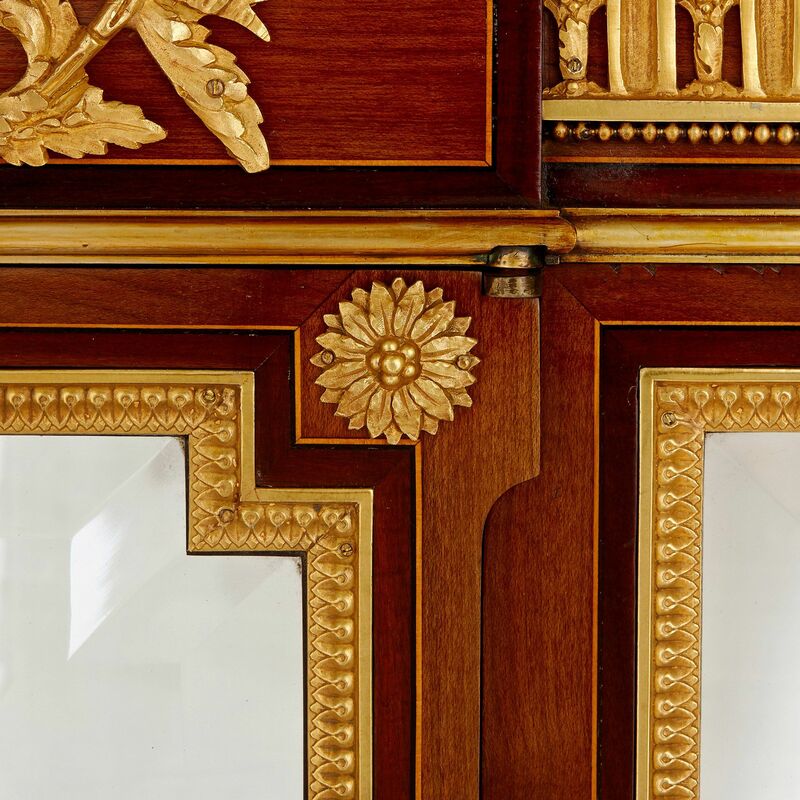 The base and back of the cabinet interior are both mirrored, a classic design feature of 18th and 19th Century French furniture, intended to highlight and draw attention to the cabinet's contents. 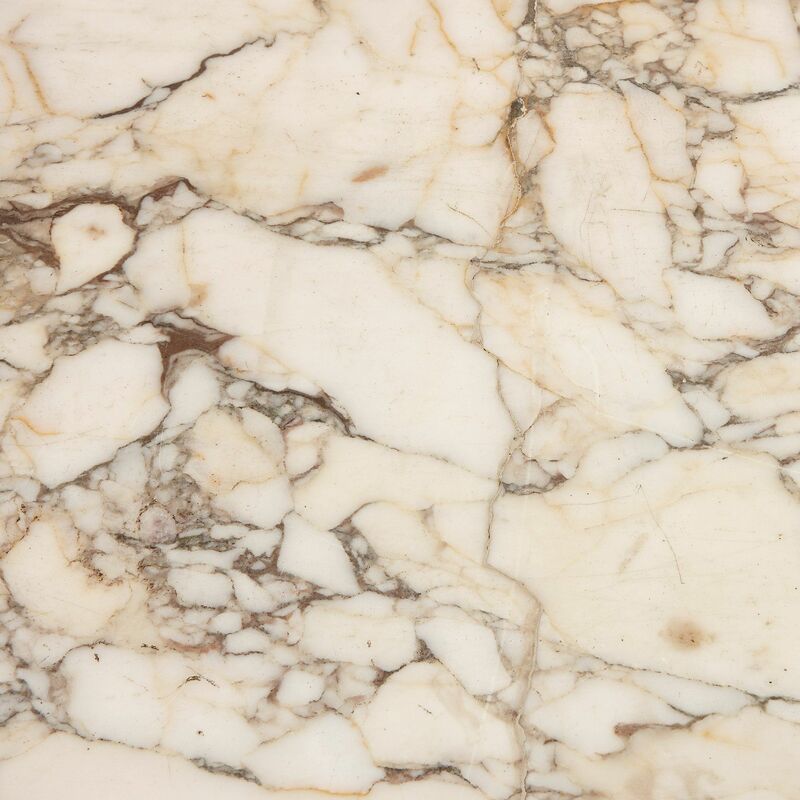 Above the glazed panels there is an ormolu frieze cast to depict flowers and scrolling foliage, which sits under the cool veined white marble top. 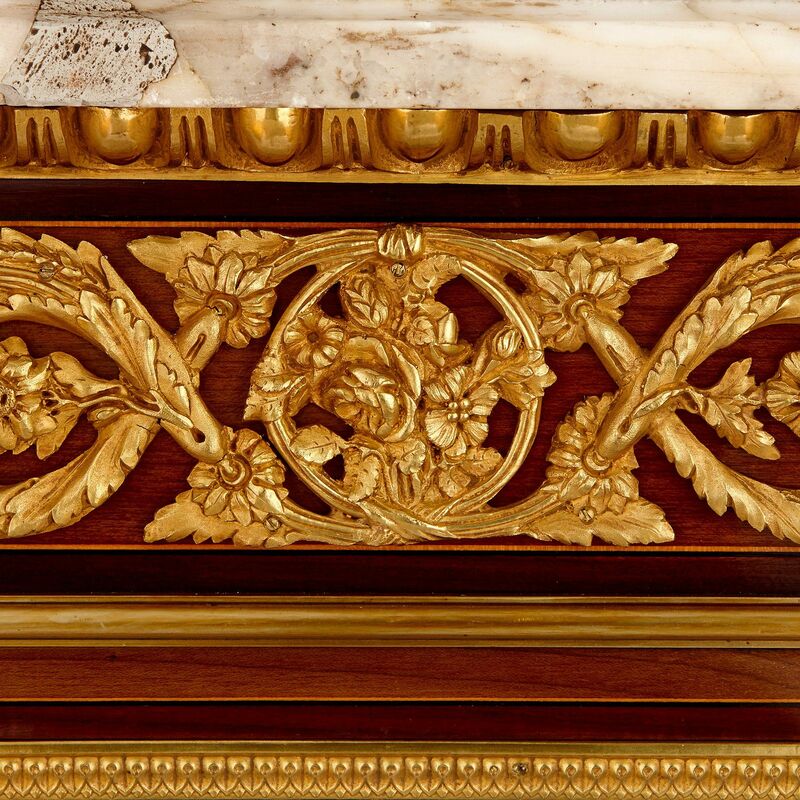 There are further ormolu mounts on the corners of the cabinet, in the form of hanging garlands, and on the four scrolling, block feet, in the form of acanthus leaves. 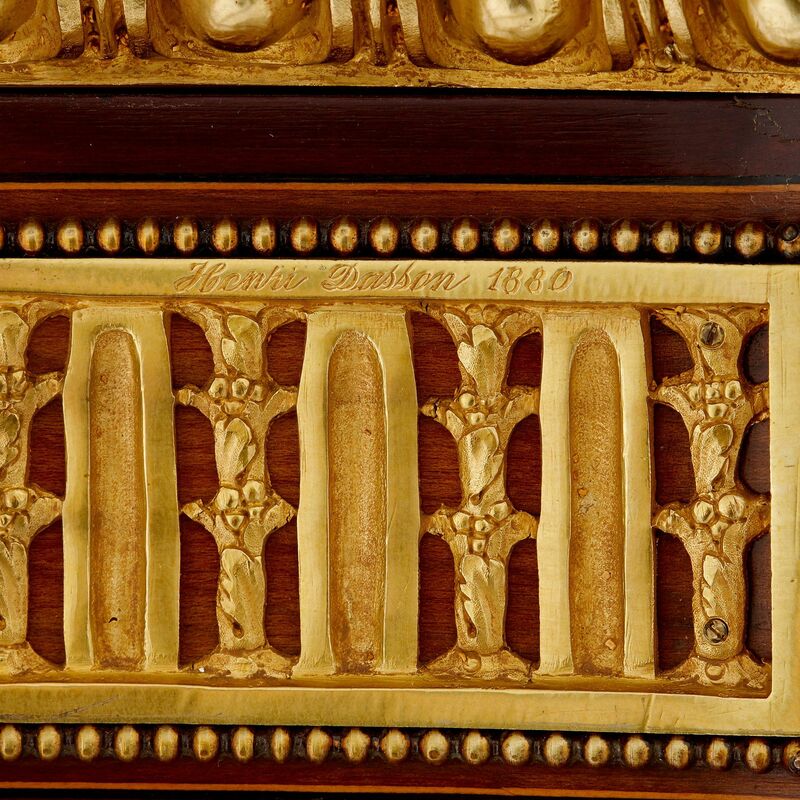 There is a spurious mark on one of the ormolu mounts reading 'Henry Dasson 1880'.